Thar’ she blows! 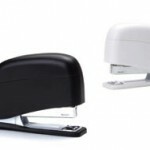 This whale shaped stapler is appropriately named the Moby Stapler. It’s head even flips open to store extra staples- which almost makes it more of a Jonah Stapler if you asked me. Oh you didn’t? Staple away. Buy it here. 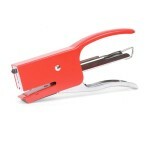 Red dog stapler is definitely the most canine of all staplers. Won’t bark. Uses standard sized staples. Buy it here.